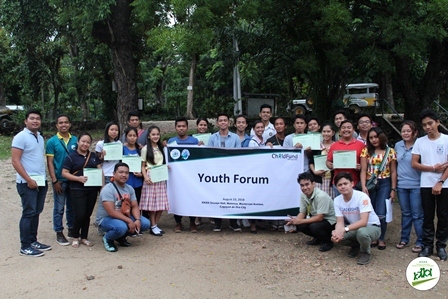 XSF-KKKK conducts youth forum training - Xavier Science Foundation, Inc. 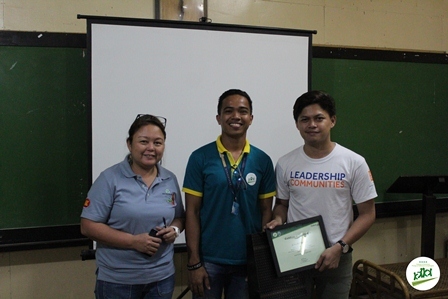 The Xavier Science Foundation, Inc. through its Kaabag sa Kalambuan pinaagi sa Kabtangan sa Katilingban (KKKK) project conducted a youth forum training last August 23, 2018 at the Appropriate Technology Center (ATC) session hall, Manresa complex, Cagayan de Oro City. The forum discusses the opportunities where youth and children participate in the planning and implementation of various community development programs that influence them in their respective schools and barangays. Sangguniang Kabataan and school based youth leaders from seven (7) barangays of Cagayan de Oro namely; Bayanga, Mambuaya, Dansolihon, Carmen, San Simon, Indahag, Puntod discussed current issues that the youth faced today and on how to realign programs with KKKK – XSF and Oro Youth Development Office.